On Saturday, Marcus Browne (23-0, 16 KOs) won a twelve round unanimous decision over Badou Jack (21-2-3, 13 KOs) in a WBC final light heavyweight eliminator at the MGM Grand. That wasn’t the talk about this fight when it was over. 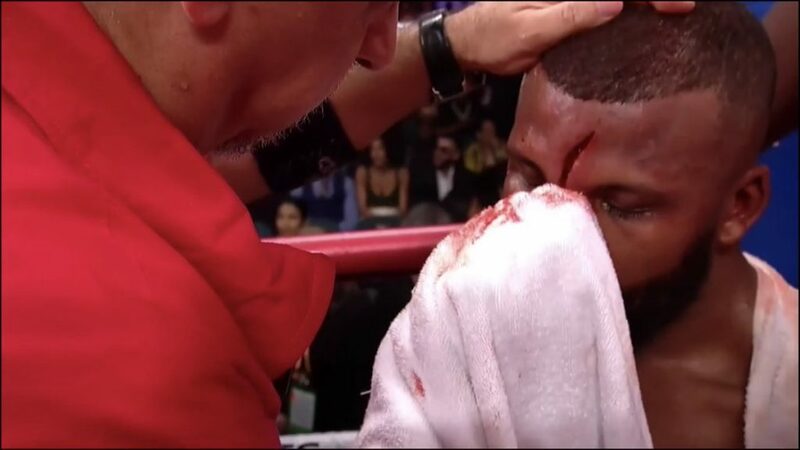 It was more on the fact that Badou Jack had one of the nastiest cuts on his forehead that have ever been seen in the sport of boxing. The cut on his forehead happened in the 7th round when they banged heads and Jack’s face began to bleed profusely from the cut. 🥊🇬🇧 Marcus Browne defeats Badou Jack! Shockingly, this fight wasn’t stopped and went the full twelve rounds as the doctor allowed it to continue.